Looking for movie tickets? 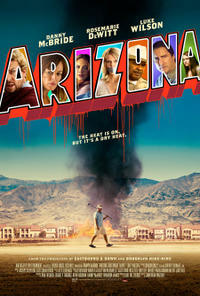 Enter your location to see which movie theaters are playing Arizona (2018) near you. Cassie is a real estate agent and single mom struggling to keep it all together during the housing crisis of 2009. Her problems go from bad to worse when disgruntled client Sonny violently confronts Cassie’s boss and then kidnaps Cassie.